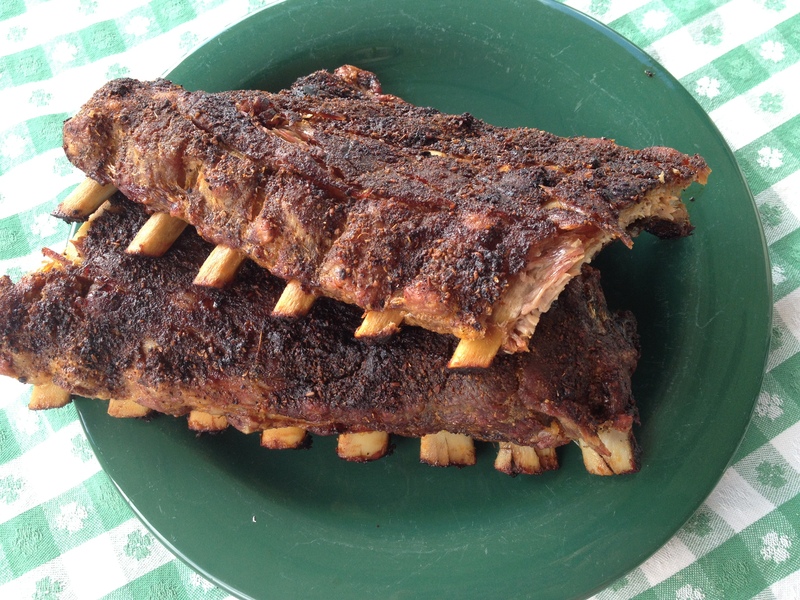 Based on a recipe in the March, 2003, Fine Cooking magazine, I have been making these baby back ribs for a decade. Since baby back ribs come vacuum packed, and are often on sale around holidays, I buy up three at a time, pick a day when I have three hours to tend to the ribs as they cook, and then I divide them cut them in two and freeze them. They defrost quickly in the oven and become part of a “30 minute or less” meal. Rub 3 slabs of baby back ribs (about 6 lbs. 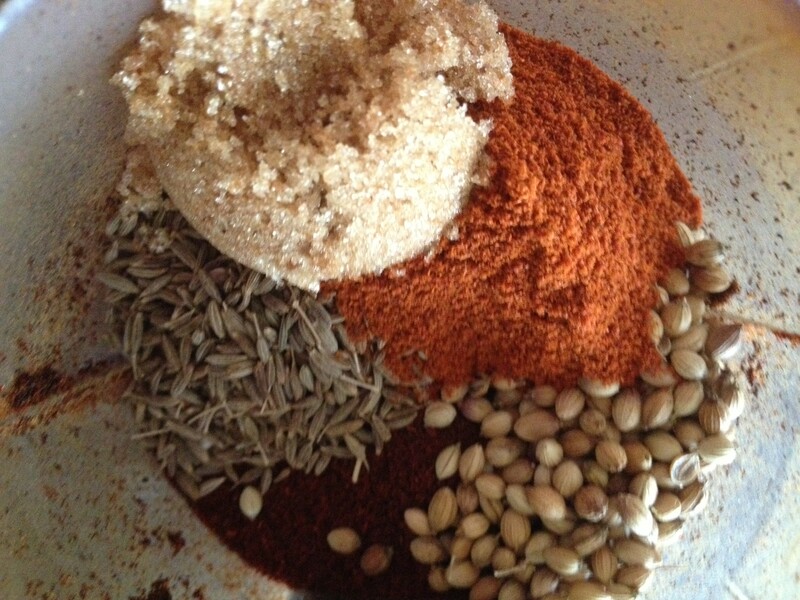 ), back and front, with spice rub. 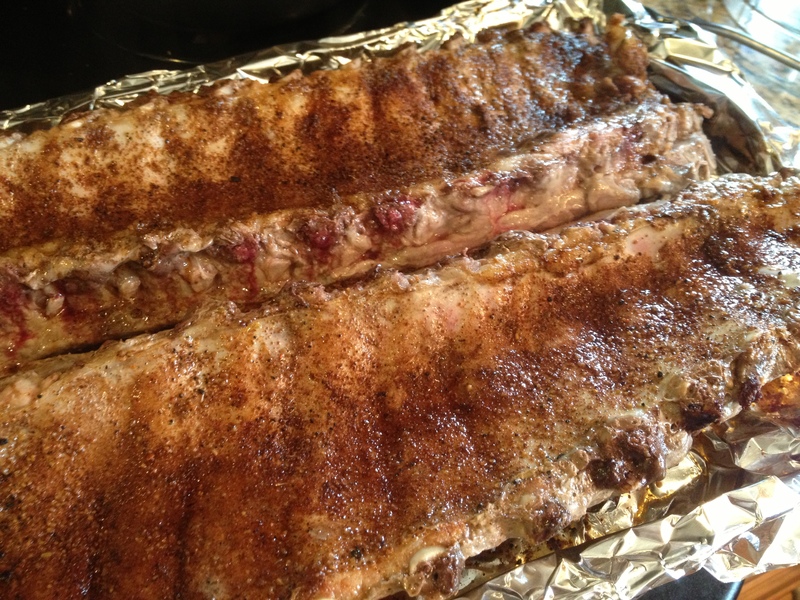 Arrange two oven racks low and slightly higher than mid way, place the ribs in the oven. 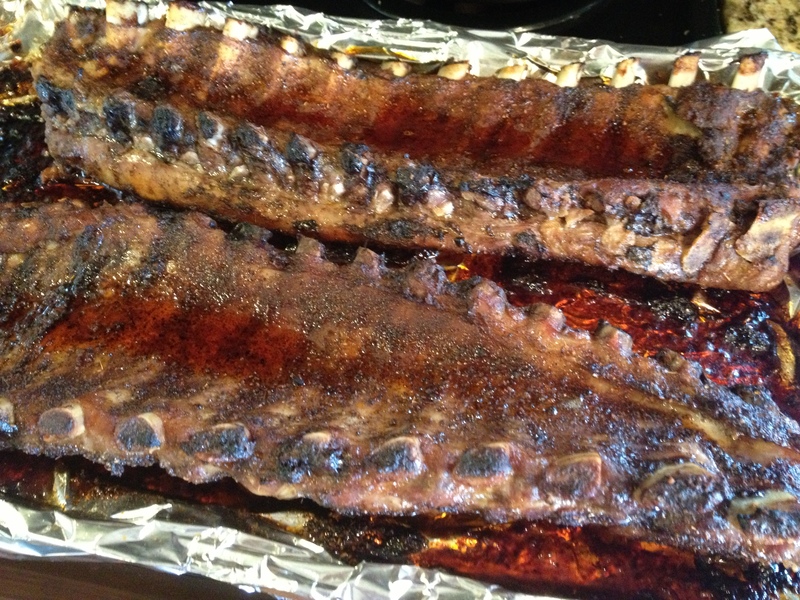 After 30 minutes, remove the ribs from the oven and turn over. If you are using two pans, as I usually do, switch the pans every 30 minutes too so that each pan cooks some on the bottom rack and on the mid level rack. 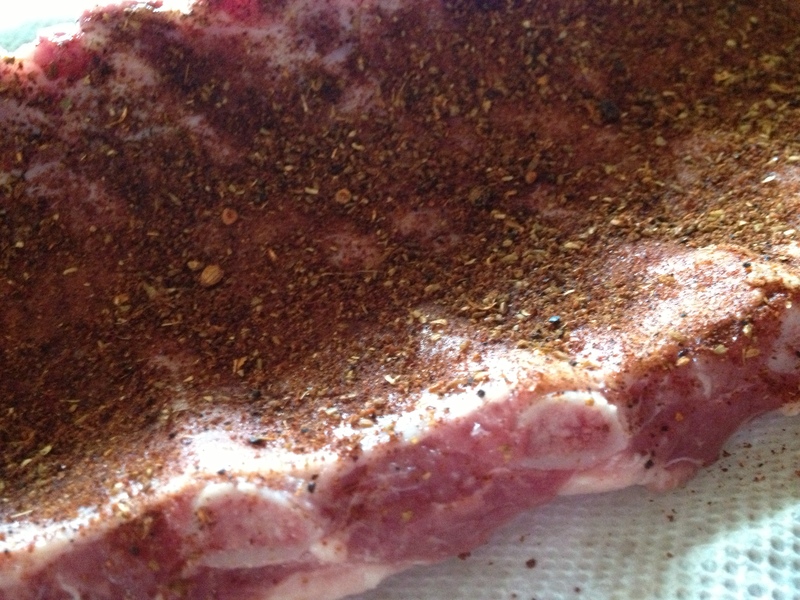 Bake for 3 hours turning the ribs every thirty minutes as well as switching the pan positions. They should be fall of the bone tender. 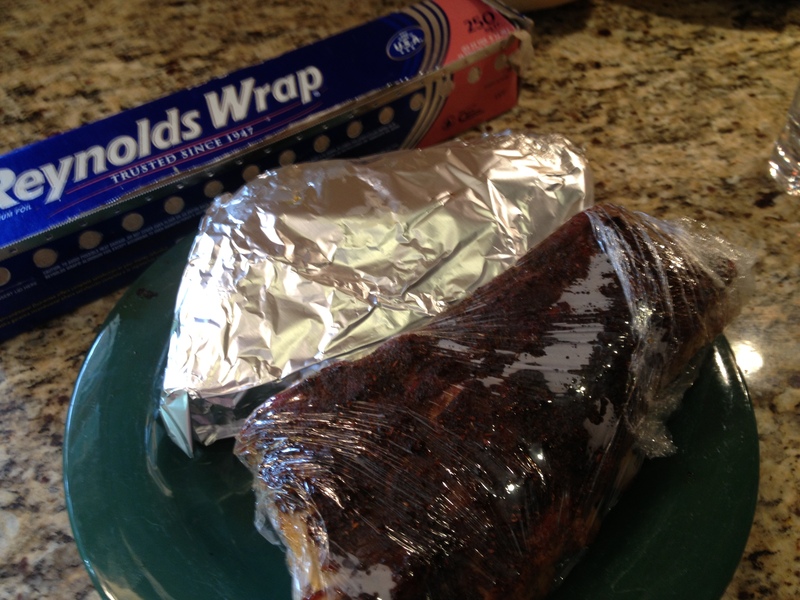 Suggestion: Unless I am cooking for a crowd, I cut the ribs in two (as in the above photograph), wrap them in plastic wrap, and then in foil (as in the photograph below) and freeze them. They keep well frozen. 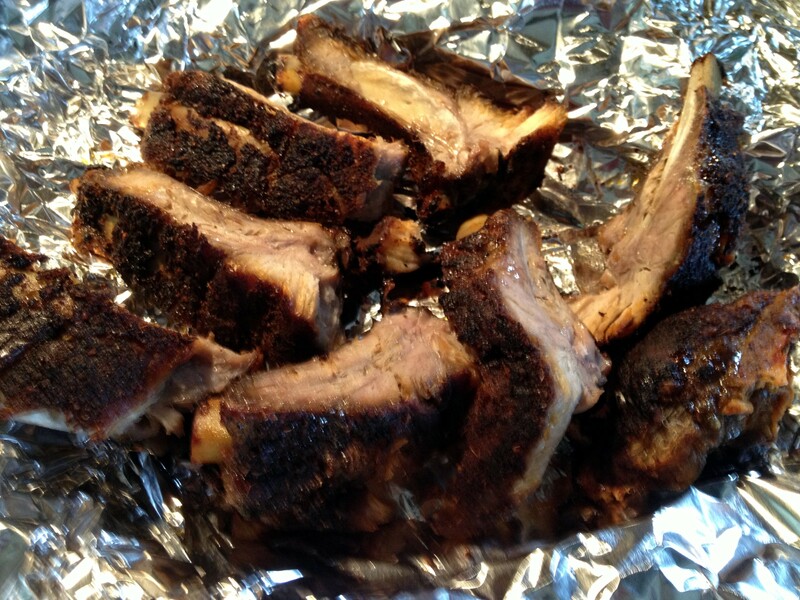 When I want a quick meal, I unwrap the ribs, use the tin foil I wrapped them in to line a baking sheet, put them in a cold oven, turn the heat up to 400 and when the oven registers that temperature, I turn the oven off and leave the ribs in an extra five minutes.